WinPE 10 is a powerful release of Windows and you may call it a small operating system for diagnosing Windows 10. This free download is the standalone offline setup of WinPE 10 for 32-bit and 64-bit architecture. Most of the times when there is a problem with your operating system and you are unable to start Windows 10, WinPE comes as a rescue operating system. It provides a very reliable environment for deploying, installing and repairing Windows 10. This powerful suite allows installation either from local drives or from the network. It can also detect non-bootable drives and devices. Moreover, it is very light on the system resources, so you don’t require a very heavy system. It also includes a set of generic drivers for different devices including graphics, storage, networking, and various others. There are some recovery features as well which allow you to recover data from different drives and devices with less effort. It also supports ActiveX Components and Windows Script Host. This operating is not for full-fledged OS but intended to be used as a recovery OS or a deployment system. Includes all the generic drivers for networking and graphics etc. Before you download WinPE, make sure that your system meets the given requirements. 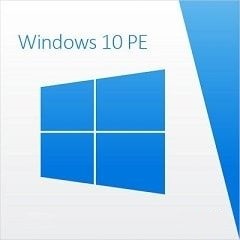 Click on the below link to download the standalone offline installer of WinPE 10 for Windows x86 and x64 architecture. It is the best recovery and deploying environment for Windows 10.